Sometimes media files in non-linear editing projects are spread all over the place. Marker makes keeping track of them easy. The Finder Tags that you can set from within Marker help you visualize what's used, and what's not. The app can also select and deselect files in their Finder windows. Here, a click on one of the buttons would add red Finder tags to the affected media files. The affected files would either be the used, unused or all files in the listed folders. 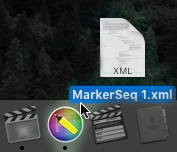 Marker works with XML information from Final Cut Pro X , Adobe Premiere Pro, Final Cut Pro 7, as well as with ALE files from Avid Media Composer. 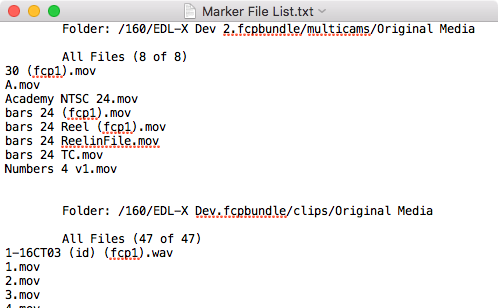 save a list of the files in the folders currently loaded in Marker. This can be helpful to create a file inventory, or to import into databases, etc. Marker makes loading XML or ALE files convenient. ... or Marker's main window. 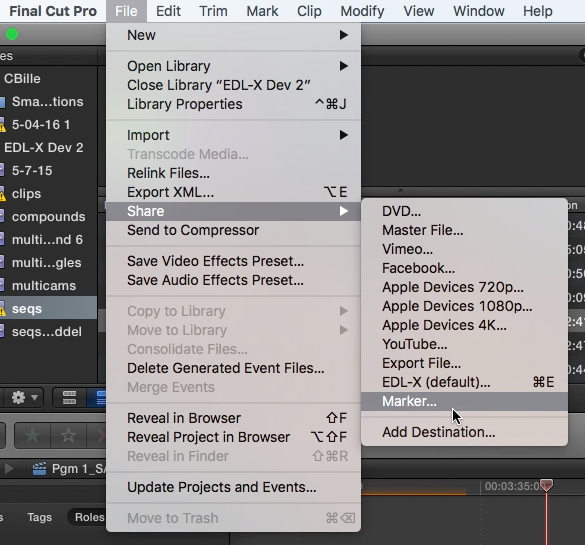 *FCP X only shares projects/sequences that are loaded in the timeline. To work with events and clips in Marker export and load XML files manually. **The panel is available for free download here. 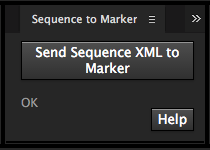 ***With this button Marker can only get sequences that are loaded in the timeline from FCP 7. To work with bins and clips in Marker export and load XML files manually. What Marker does to the affected files depends on the big switch in the main window, as well as the plus/minus buttons in the lower right. Which files are affected by Marker depends on the button you click. Here, a click on one of the buttons would remove any green Finder tags from the media files. The affected files would either be the used, unused or all files in the listed folders. Here, a click on one of the buttons would select the media files in their Finder windows. The affected files would either be the used, unused or all files in the listed folders. But if the None button is clicked, all files in their Finder windows would be de-selected. The flat form lists just the file paths, and is suitable for further processing in scripts or databases. The pretty form is geared for readability. There is a small script, which can be installed right from within Marker, that helps overcome some limitations imposed by the OS X sandbox. This AppleScript accelerates some of things Marker does, but using it is optional. Read more about it here. Marker version 1.1 runs on Mac OS X 10.9 and newer. The helper script versions used with Marker version 1.0.x are discontinued, and do not work with Marker 1.1. They are still downloadable here. Marker is available on Apple's Mac App Store.